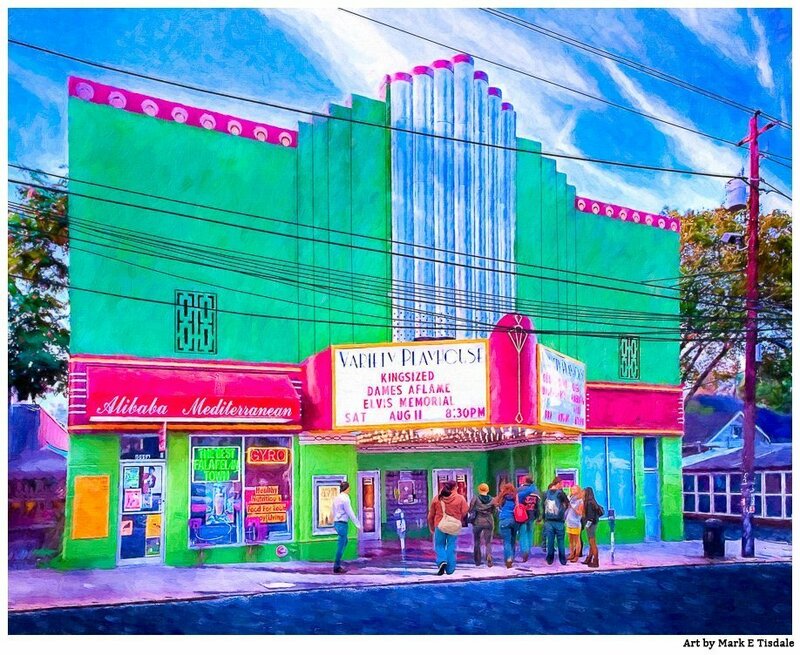 For people who have called Atlanta home from the 90s until today, the Variety Playhouse on Euclid probably doesn’t need any preamble or other introduction. It’s simply a cool concert venue in the eclectic Little Five Points neighborhood in Atlanta. I saw a number of acts myself there during the years I called Atlanta home and for some reason, it always seemed to be in the summer which was my motivation for going with a view of the Variety Playhouse as seen here where people appear to be gathering for a show about dusk. There’s something about summer evenings and the light that has always invigorated me!The result is this Atlanta concert print conveys a lively and colorful night out in Little Five Points (L5P). 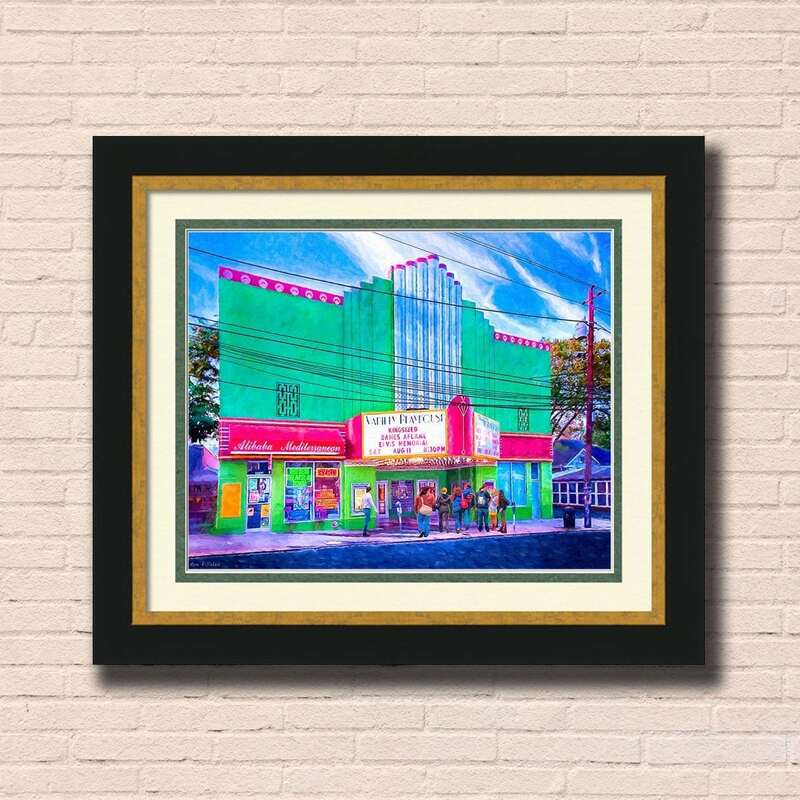 If you’ve known Atlanta longer than some of us, then you may also know that the history of the historic theater building that houses the Variety Playhouse is considerably longer. It opened as the Euclid Theatre in 1940. Much like the iconic Fox Theatre, it was was saved from the wrecking ball in the 1980s. However this was after having sat empty for two decades! After being saved from demolition, the next brief chapter was as an art house theater called The Ellis. But at nearly three decades, its longest run is as the popular Variety Playhouse. As multiple musical venues from my era in Atlanta have closed their doors or relocated there’s a certain sense of continuity knowing that a night at the Variety Playhouse is still a thing even if the musical talent performing there is ever-changing. If you’ve found your way here, I”m guessing you have fond memories of the Variety Playhouse that I hope this L5P print plays homage to? 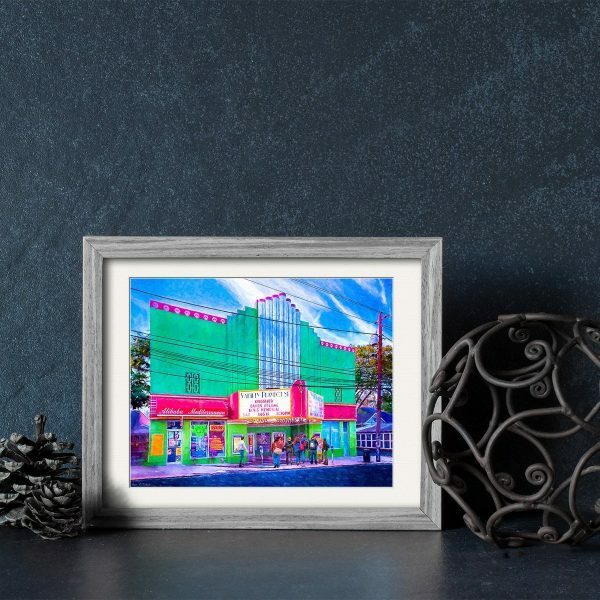 I hope you’ll stop to share your thoughts on this Atlanta print and what makes it special for you? 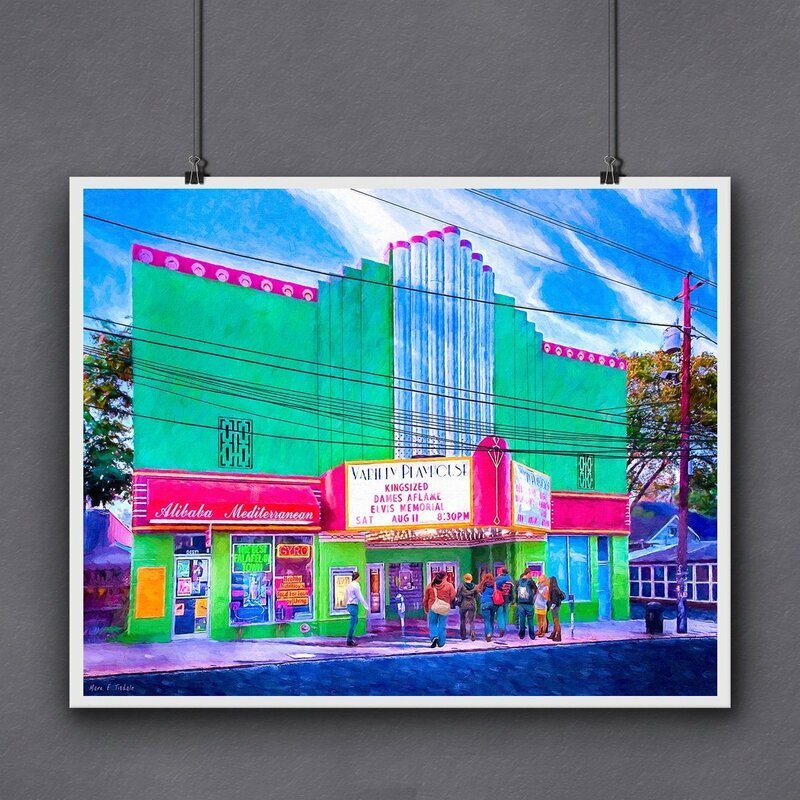 This Variety Playhouse print is available both as a ready to frame print, as framed wall art, canvas prints, and more. Click the button up above to learn more about your options and don’t hesitate to send me a message if you have questions before purchasing this to decorate your own home or as a gift for someone you know who has fond memories of this Atlanta concert venue.